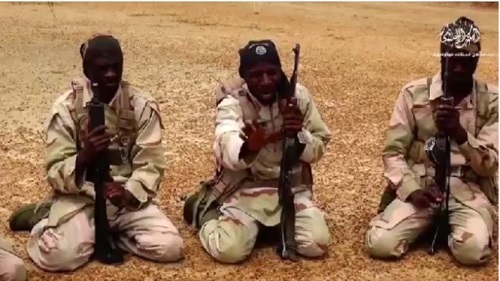 The Nigerian army yesterday sent a warning message to members of the public concerning Boko Haram’s new attack tactics. In a statement released by the Nigerian Army Public Relations Deputy Director, Col Nwachukwu, the deadly sect is now using two main deceptive tactics to lure unsuspecting people to target areas before unleashing their terror. This is very sad. If you see the proper adults Boko haram please catch prosecute them. 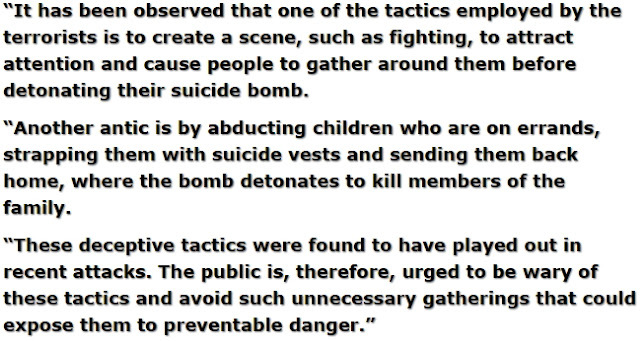 Also these children denoting these bombs are actually innocent children. Please if you catch any of them during failed bombing take and help them for they do not know what they are doing. They have brain washed them with drugs. I pity their parents. The Lord almighty will continue to deal with these devils.